Despite the announcement this summer that the owners were looking to sell to building, there is still work being done at the Ormsby House. 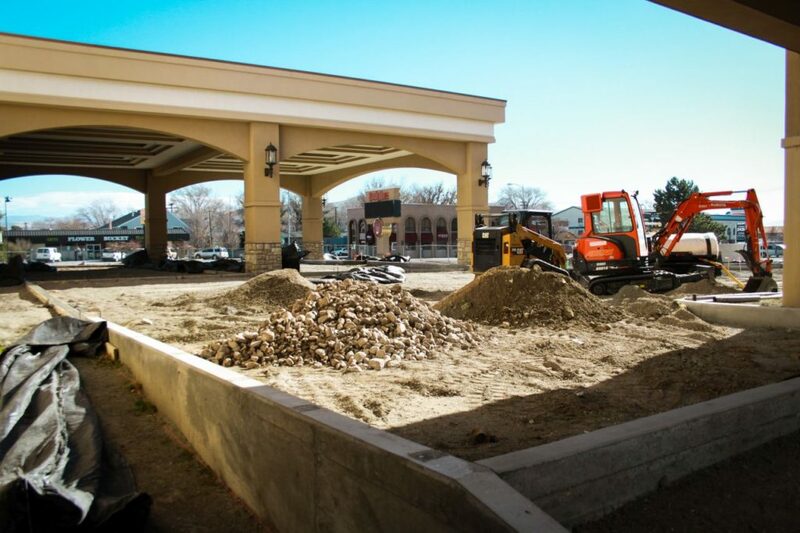 Heavy equipment has once again been brought to the site, and over the last few weeks they have been working on the driveways and parking areas out in front of the hotel. 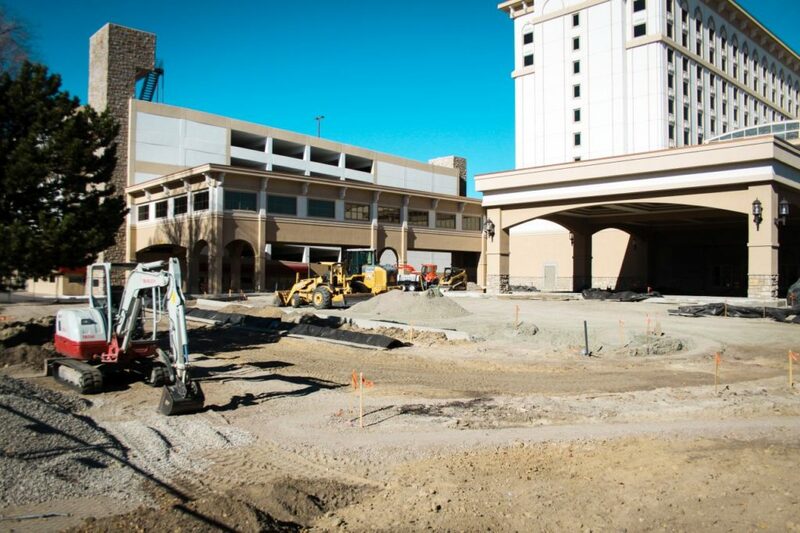 This area to the south of the hotel tower was formerly just a parking lot. 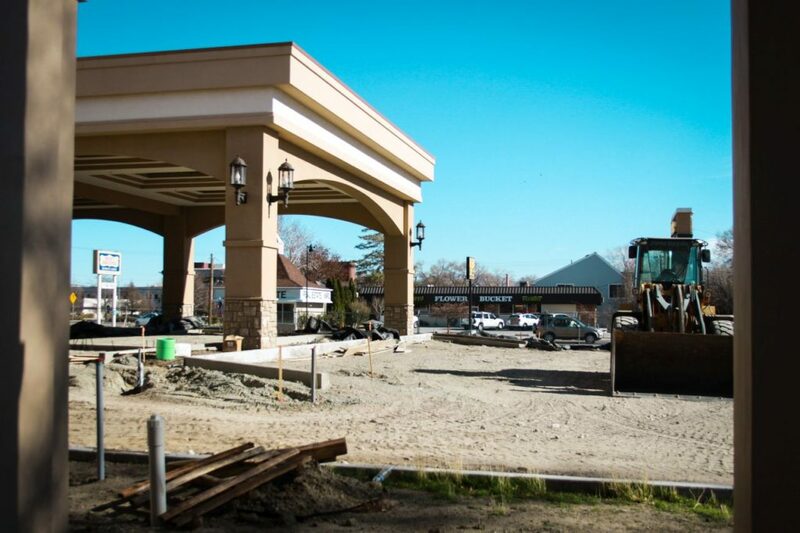 The large portecochere wasn’t even there when the hotel was open. This was just a side door. 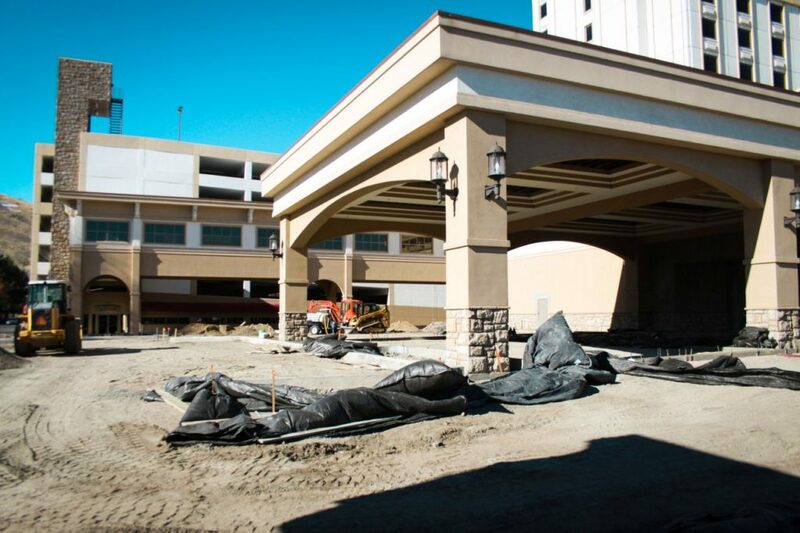 During the remodeling they moved the portecochere to the south side of the building, making this the main entrance to the casino. But the surrounding area was left as dirt, and it’s been dirt ever since then, 13 to 14 years. Also on the south side of the building was Seventh Street. This road has been at times closed off and at other times reopened during the course of the renovation. 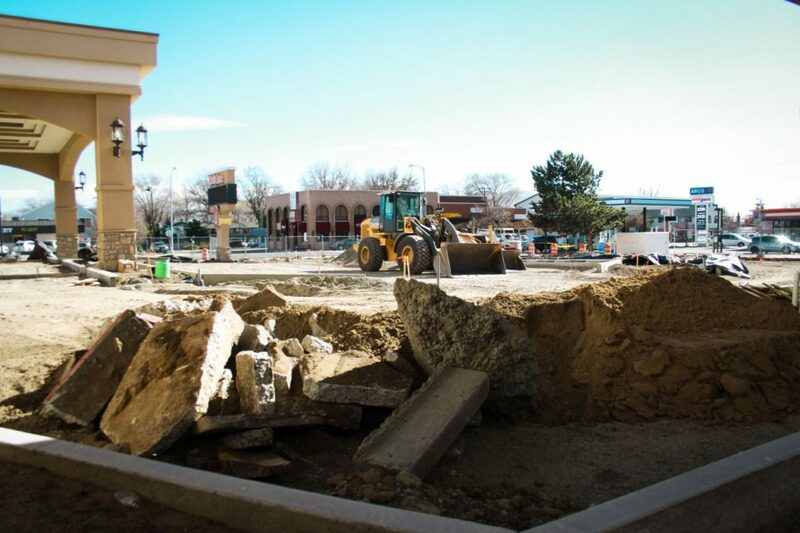 But now the pavement has been completely torn out, and Seventh Street is gone. Here the driveway into the Arco gas station is cut off. 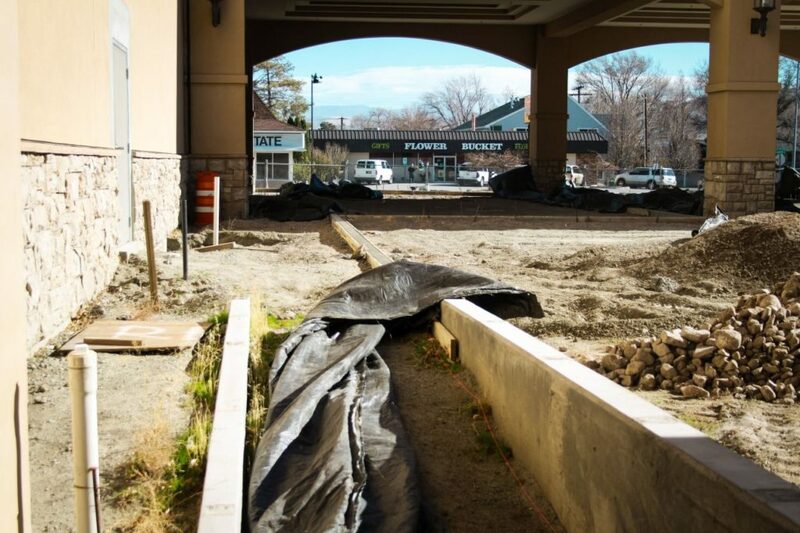 It looks like Seventh Street will be coming back in some form as part of the project, but it might not ever go all the way through again. This curb is being built to prevent through traffic on Seventh Street. 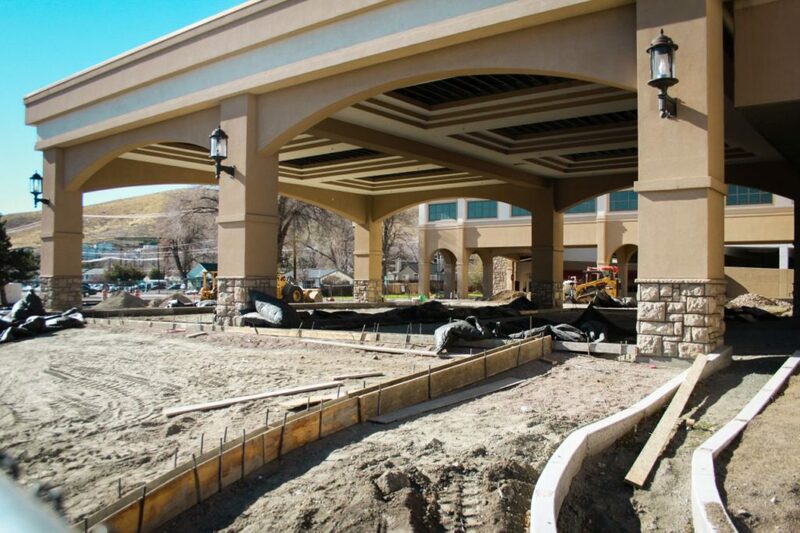 It looks like there will still be a driveway into the Arco, and other traffic will be routed to the portecochere. 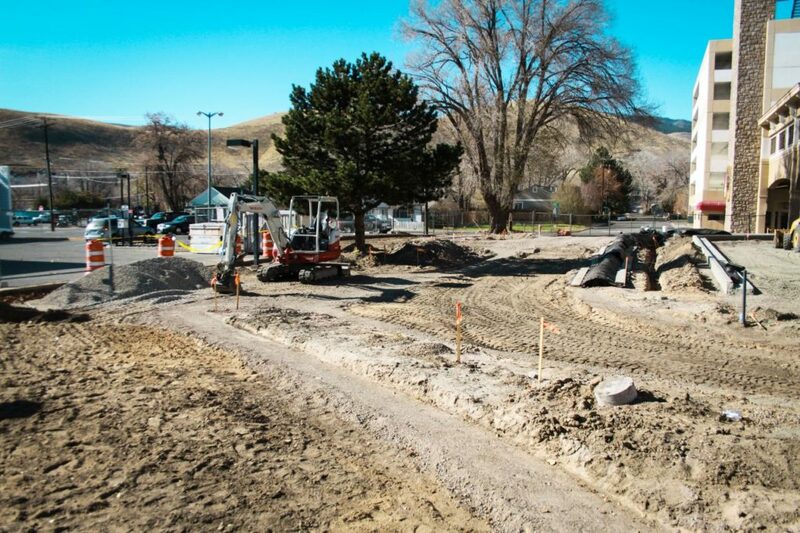 Looking along the length of Seventh Street, we can see some new curbs that have already been poured, and others where they are preparing to pour. 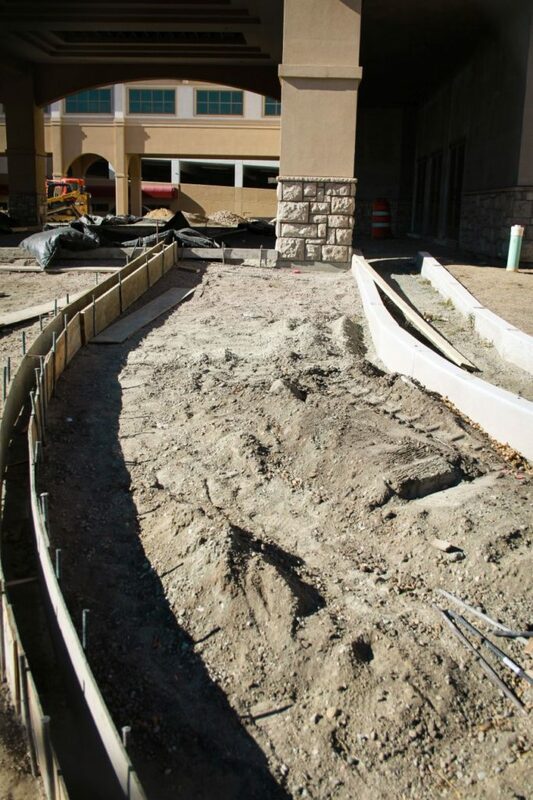 New curbing is going in under and around the portecochere also. To the south of Seventh Street there has always been a secondary overflow parking lot. 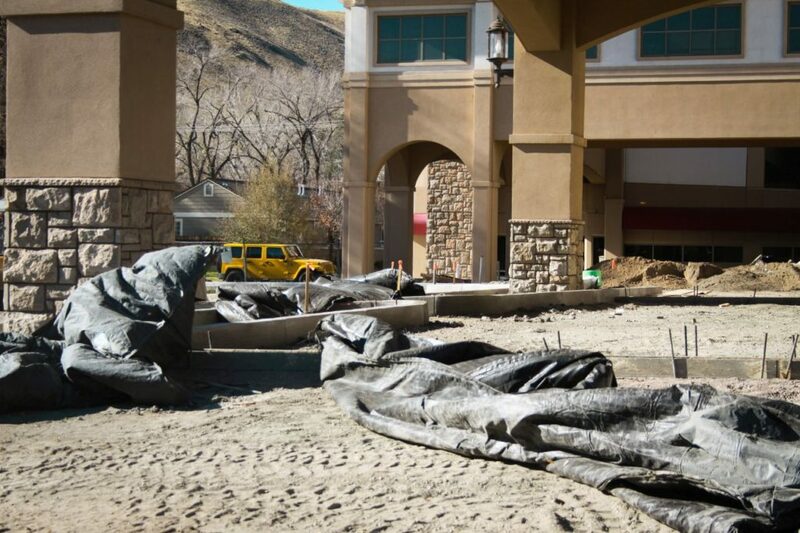 It looks like they are going to rebuild the driveway into that parking lot as well. 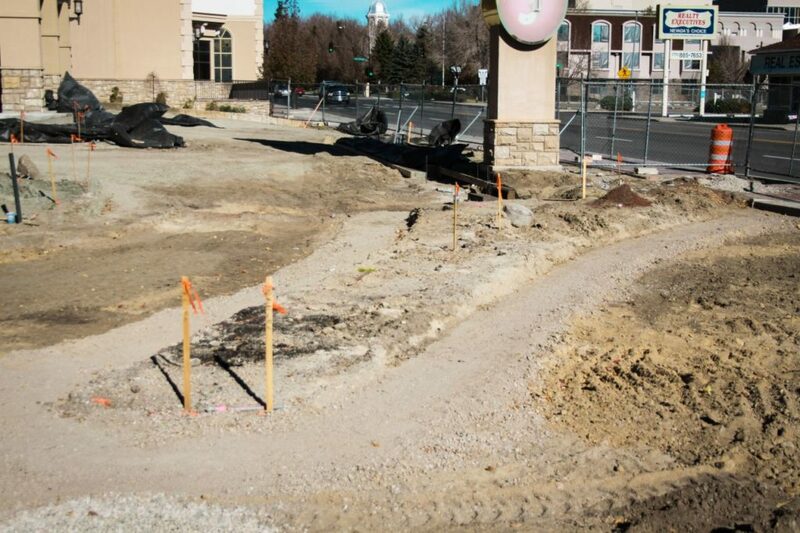 Looking from Curry gives us a different angle on some of the new curbs, and you can kind of make out where the parking spots likely will be. This is just another indication that work on the Ormsby House has never stopped, and even now with the building up for sale, it seems like it is going to continue indefinitely. This is the most intensive outdoor work that has been done in years, so it’s exciting to see. Assuming that they’re going to work on this uninterrupted, we could see a fully paved south parking lot for the Ormsby House by next summer, even if there’s still no opening in sight. Fantastic update, keep up the good work reporting. It is creeping up to the 20 year mark. How long are work permits good for? Do they still run the garage gambling for the gaming permit? They don’t do gaming in the garage anymore. They closed it down and let the gaming permit expire. 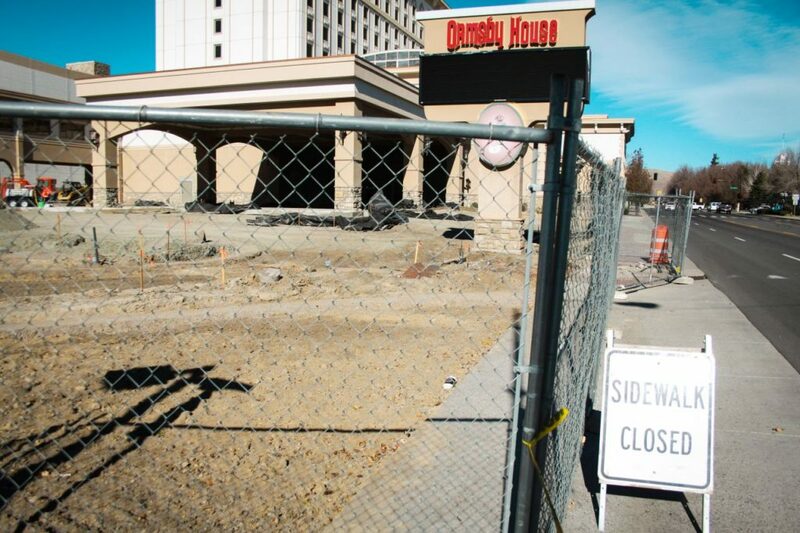 Their reasoning is that they figure the Ormsby House will never reopen as a casino. They are looking for buyers who will operate it as a hotel only. Or possibly even condos. You can name almost every other major project IN THE WORLD, and they’ve been done in shorter time. 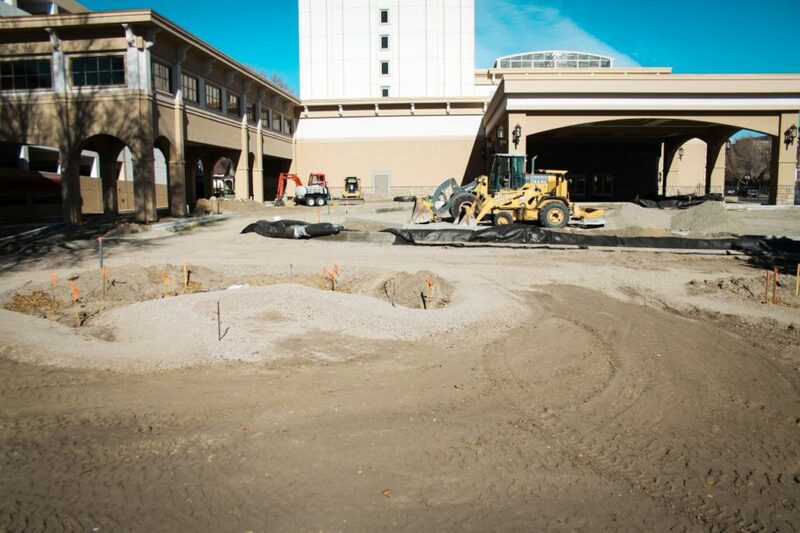 Every time something new starts popping up in Carson, we all know it will be completed before the Ormsby. Hotels, hospitals, freeways, bypasses, water treatment plants, the wall on our southern border (we’ll see). No casino? Does Carson need that additional capacity just as rooms? CommRow (2011–2013) RIP – no casino. 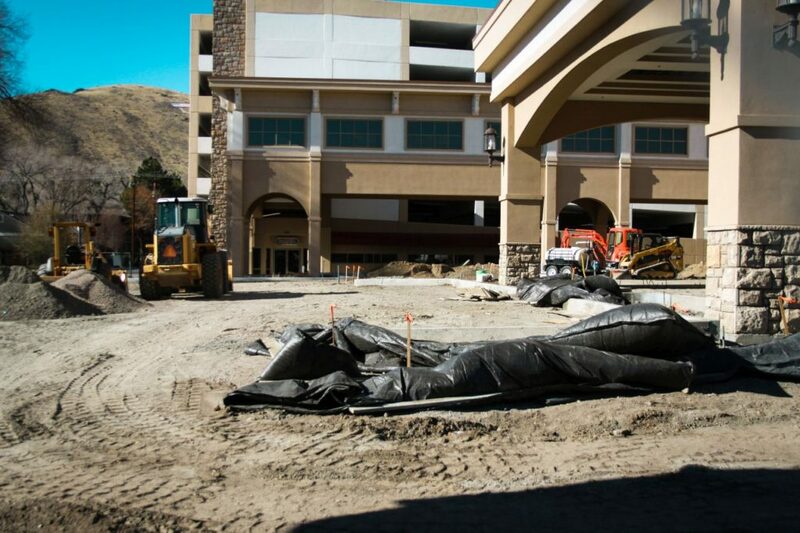 Upon completion, the Renaissance Reno Downtown Hotel will open in March 2017. That’s sad, I was hoping to visit an all new Casino/Hotel grand opening in Carson. I have never stayed there when it was open. CommRow didn’t include a hotel. Whitney Peak is a hotel without a casino at that location and has been open for quite some time, and people seem to like it. As the capital city, that’s also a good base of operations for Lake Tahoe, Carson City should be able to keep a nice hotel in business. They’ll have to make sure they’re a nice hotel. 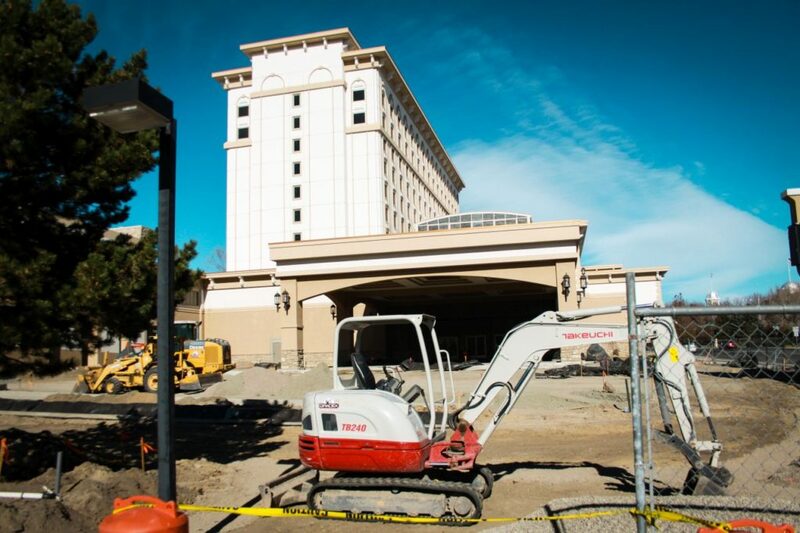 As downtown Carson adds more attractions, the Nugget project continues, etc, there’ll be a place for a hotel with plenty of meeting space and a decent restaurant and bar. This is a model that works in plenty of cities and it can work in Carson City. All this work isn’t happening because the building code is going to change at the beginning of the year and all the work they have done will have to be up to date using the most current code and not the one they are under right now. true or not? 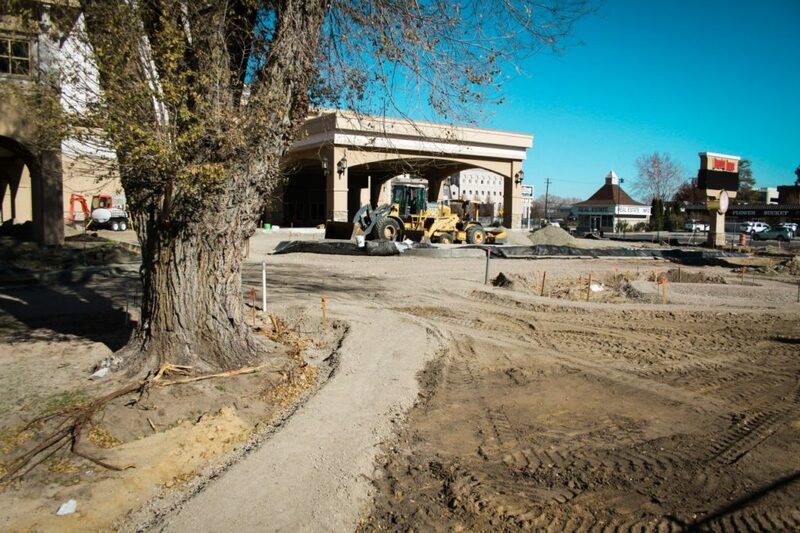 They told the newspaper this week (http://www.nevadaappeal.com/news/government/ormsby-house-exterior-work-finishing-up-in-carson-city/) that the reason they’re doing this work is that the permits were set to expire. They got an extension in exchange for finishing the curbs and parking lot. If the permits expired, they’d have to get new permits under current building codes, yes, and a lot of the work they have already done wouldn’t be up to those new codes. They still want to sell the building, they just want to sell with an active permit rather than an expired one. Any public word on how Dec 15th panned out? Do you see how fast that new Maverick is going up at College Parkway and Hwy 50? If they had 1/20th of that many people working the Ormsby project, it would have been done 10 or more years ago! I realize money is the issue, but still . . . . Just sayin’. 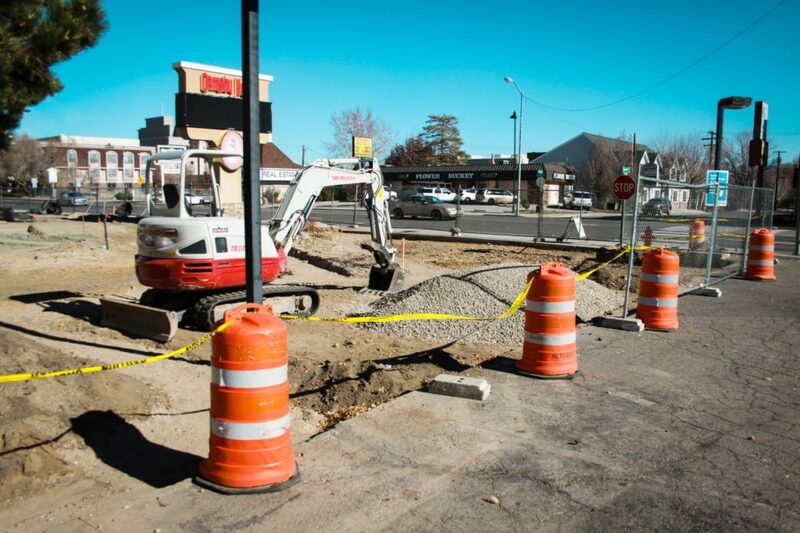 Do you think the owners “promised” to finish construction if they were allowed to have Seventh St.? They’ve had Seventh Street for years. That’s why it was so potholed recently, they hadn’t been keeping it up because it was always in the plans to make it into a driveway. I guess its that time of year for another extension request……. 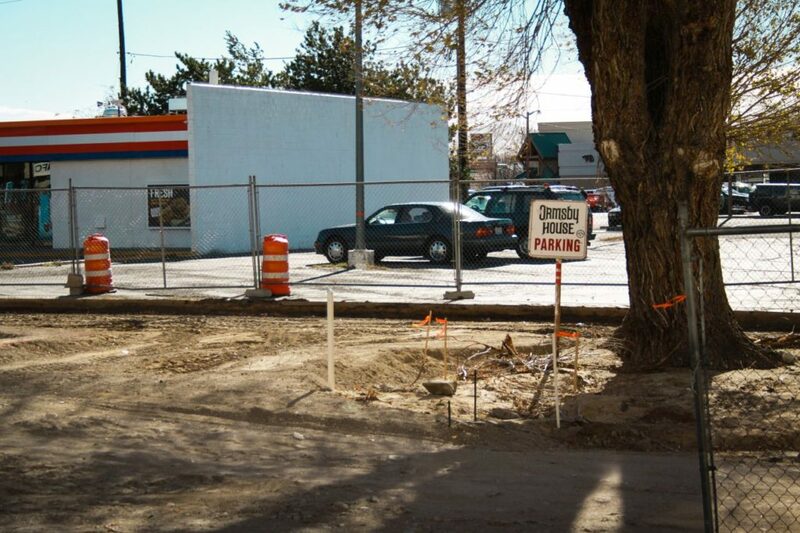 March 30, 2012 – The subject permit, 12-52, was issued to continue construction. – October 10, 2013 – The first 18-month administrative extension was granted. – April 8, 2015 – The second 18-month administrative extension was granted. – September 15, 2016 – The Board of Supervisors approved an 18-month extension subject to conditions. And if work isn’t complete by March (including these winter months) this looks doomed – permits expired. Any update on how it looks onsite? Close to completion? Im guessing it doesn’t look like it is ready to open in a few weeks, to meet the March 2018 permit deadline? I guess we will see what March 15th pans out…..
“The Board of Supervisors this week will get an update on the Ormsby House. A building permit for the property expires March 15, the day of the board meeting, unless the supervisors vote to extend it again. 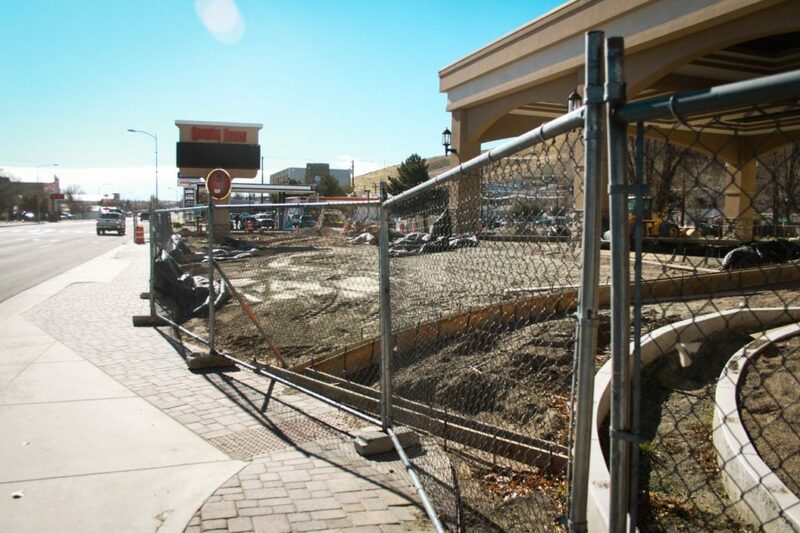 The 2012 permit, the third permit issued for the building, has already been granted two administrative extensions by Carson City staff and one 18-month extension by the board. The extensions were approved to help make the long-vacant building more attractive to potential buyers, who will need to finish its interior before it can be occupied. Kim Fiegehen, representing Don Lehr and Al Fiegehen, the current owners, and Ted Stoever, senior vice president, Northern Nevada Land & Development Investment Services for Colliers International, last appeared before the board in September. No new permit, New owners will have to file for new change permit anyway, Not going to be hotel. So it’s been 8 months – has this thing even sold to a buyer? Another 20 years before it becomes in use again?